Categories: C, Taj Brands. Tags: blood pressure, C, chest pain, Extended-Release Capsules. These capsules have been prescribed for you to treat angina (chest pain caused by a reduction of oxygen to the heart muscle) or high blood pressure (hypertension). They contain the active ingredient diltiazem. Diltiazem belongs to a group of medicines called calcium antagonists. Calcium antagonists help more blood to reach the heart and reduce blood pressure. CARDISEC are designed to work properly over 12 hours. If the capsules are crushed or chewed, the entire 12-hour dose may be absorbed rapidly into your body. This can be dangerous, causing serious problems such as an overdose. • have heart failure (which can cause shortness of breath or ankle swelling). Children should not take these capsules. Please tell your doctor or pharmacist if you are taking or have recently taken any other medicines, including medicines obtained without a prescription. If you take CARDISEC with some other medicines, the effect of CARDISEC or the other medicine may be changed. • medicines for inflammation or allergies, known as steroids (for example methylprednisolone). If you are having a general anaesthetic, tell your doctor that you are taking these capsules. Do not take CARDISEC at the same time as an alcoholic drink. 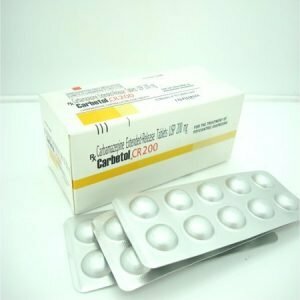 Do not take CARDISEC if you are pregnant, likely to become pregnant or are breastfeeding. The capsules may cause a number of side effects such as dizziness and a general feeling of being unwell. These could affect your ability to drive (see section 4 for a full list of side effects) and are usually most noticeable when you start taking the capsules, or when changing to higher dose. If you are affected you should not drive or operate machinery. These capsules contain sucrose which is a form of sugar. If you have been told by your doctor that you have an intolerance to some sugars, contact your doctor before taking these capsules. Always take CARDISEC exactly as your doctor has told you. The label on your medicine will tell you how many capsules to take and how often. If you are taking these capsules to treat angina the usual starting dose is one 90 mg capsule every 12 hours. If you are taking these capsules to lower your blood pressure then the usual dose is one 120 mg capsule every 12 hours. However, if you are elderly or have kidney or liver problems then you may need to start on a lower dose. Your doctor will decide how many capsules you should take. 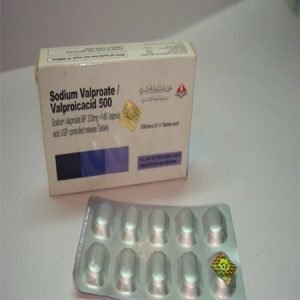 Swallow your capsules whole with a glass of water. Do not chew or crush the capsules. You should take your capsules every 12 hours. For instance, if you take a capsule at 8 o’clock in the morning, you should take your next capsule at 8 o’clock in the evening. Call your doctor or hospital straight away. People who have taken an overdose may become very unwell, feel faint, have a slow heart beat and lose consciousness. They may need emergency treatment in hospital. When seeking medical attention make sure that you take this leaflet and any remaining capsules with you to show to the doctor. If you remember within 4 hours of the time your capsule was due, take your capsule straight away. Take your next capsule at your normal time. If you are more than 4 hours late, please call your doctor or pharmacist for advice. Do not take a double dose to make up for a forgotten capsule. You should not stop taking these capsules unless your doctor tells you to. If you want to stop taking your capsules, discuss this with your doctor first. If you have any further questions on the use of CARDISEC ask your doctor or pharmacist. Like all medicines, CARDISEC can cause side effects, although not everybody gets them. • skin rash or itching especially those covering your whole body, severe flaking, blistering or peeling of the skin, with or without a fever. Tell your doctor immediately if you get any of these. • Swelling of the hands, ankles or feet. • A fast, slow or irregular heartbeat. • A feeling of faintness, especially on standing up. • A worsening in liver function tests (seen in a blood test). • Changes in muscle tone and/or abnormalities of movement. • Mood changes, including depression. • A reduction in blood platelets which increases the risk of bleeding or bruising. • Bleeding, tender or enlarged gums. • Gastrointestinal disorders (e.g. upset stomach). You may see the remains of the capsules in your faeces. This should not affect how the capsules work. If any of the side effects become serious, or if you notice any side effects not listed in this leaflet, please tell your doctor or pharmacist. Do not store your capsules above 25oC. Do not take your capsules if they are broken or crushed as this can be dangerous and can cause serious problems such as overdose. The active ingredient is diltiazem hydrochloride. Each capsule contains 90 mg, 120 mg or 180 mg of diltiazem hydrochloride. CARDISEC are marked with the strength (e.g. 90 mg, 120 mg) and coloured with different colours. The capsules are packed in blister packs and then boxed in cardboard cartons. In each carton there are 56 capsules.